San Diego Sector Border Patrol agents rescued 40 Mexican migrants held in several stash houses. 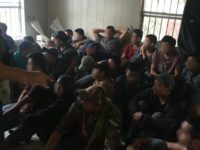 Immigration agents teamed up with Border Patrol agents and Eagle Pass Police Department officer to remove 47 illegal immigrants from a stash house located near the Mexican border. The raid also resulted in the arrest of three U.S. citizens on charges of human smuggling. Border Patrol Agents teamed up with local, state, and other federal law enforcement partners to shut down four human smuggling stash houses in South Texas. The raids over a two-day period resulted in the apprehension of 159 illegal immigrants. Border Patrol agents along the Rio Grande River border with Mexico continue to disrupt human smuggling operations by shutting down stash houses. The smugglers frequently pack migrants into the houses with inadequate plumbing and kitchen facilities. Border Patrol officials previously called these “deplorable” conditions. Border Patrol agents are ramping up efforts to prevent migrant deaths as the heat of the South Texas summer begins to build. Agents are increasing crackdowns on human smuggling stash houses and the smuggling of migrants in tractor-trailers and other trucks. Border Patrol agents in the Del Rio Sector teamed up with agents from U.S. Immigration and Customs Enforcement (ICE) to rescue 39 illegal immigrants from a human smuggling stash house in Eagle Pass, Texas. Border Patrol agents working near the Rio Grande River border with Mexico identified five stash houses and arrested nearly 70 illegal immigrants inside. Agents worked with local law enforcement agencies to conduct the raids. Border Patrol agents in the Laredo Sector discovered 36 illegal immigrants packed into a tiny stash house while assisting officers from the Laredo Police Department on Monday. Border Patrol agents continue to find human smuggling stash houses along the Mexican border between the Rio Grande Valley and Laredo, Texas. Border Patrol agents assigned to the Weslaco Station received a tip on a possible human smuggling stash house near Edcouch, Texas. The responding agents discovered nearly 40 migrants crammed into a small house in filthy conditions. 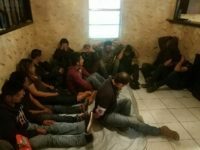 Border Patrol agents in the Rio Grande Valley Sector rescued a group of 60 illegal immigrants held in two stash houses. Human smugglers moved them from Mexico, Guatemala, and Brazil across the U.S.-Mexico Border. 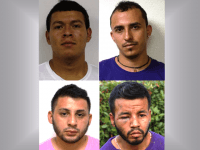 Five men in the Rio Grande Valley received prison sentences ranging from 16 to 30 years each for their roles in a human smuggling stash house kidnapping scheme. The men stole the human cargo from a stash house and then demanded the victims call family members to pay a ransom for their release. Two other previously deported illegal aliens also received sentences in the case. A federal judge sentenced three men in Laredo to lengthy prison sentences for kidnapping and extorting eight illegal aliens they smuggled into the U.S. 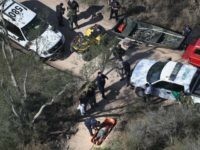 Prosecutors accused the men of assaulting the Mexican nationals while holding them captive and then attempting to coerce additional smuggling fees from the families of their human cargo. The U.S. Fifth Circuit Court of Appeals overturned a lower court’s injunction, reinstating Texas’ illegal alien harboring law. 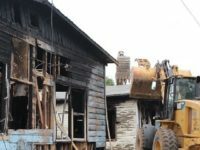 The three-judge panel poured out the plaintiff’s claim that renting houses or providing social services would put them at risk of prosecution. 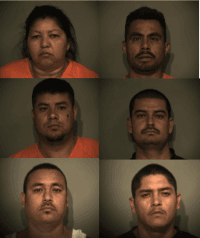 Eleven illegal aliens were found in a stash house in Eagle Pass and have been arrested. Border Patrol officials say there is evidence they had recently crossed the Rio Grande River. Border Patrol agents from the Laredo and Rio Grande Valley Sectors joined up to raid a stash house where 44 illegal immigrants were being warehoused. A raid by Border Patrol agents in the Rio Grande Valley Sector yielded a stash of fifteen illegal aliens. Human smugglers packed two groups of illegal immigrants into two separate stash houses near the Texas border with Mexico in what Border Patrol agents called “deplorable conditions.” Agents with the U.S. Border Patrol Rio Grande Valley Sector teamed up with Hidalgo County sheriff’s deputies and Alton police officers to pursue a tip received from neighbors about possible human smuggling stash houses. 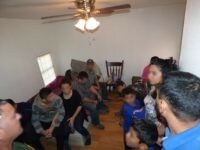 HOUSTON, Texas — 12 suspected illegal aliens have been arrested during a raid at a stash house. U.S. Border Patrol agents working in Hidalgo County, Texas, busted an illegal immigrant stash house where more than 50 foreign nationals were being held. 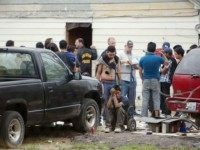 A tip from a concerned citizen led U.S. Border Patrol agents in Donna, Texas, to a stash house packed with 29 illegal aliens from throughout Central American and Mexico. One Mexican national was arrested for possible human smuggling charges. SAN JUAN, Texas — A concerned citizen helped lead Border Patrol agents and local police to a stash house in this border city where 34 illegal immigrants were being held. 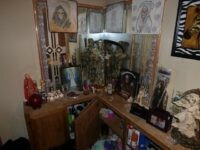 Border Patrol agents found 37 illegal aliens, including three juveniles from Mexico and Honduras, in a “Goddess of Death” shrine adorned stash house in Edinburg, Texas, on Monday. Police from the Houston Police Department (HPD) raided a human smuggling stash house on Thursday evening. Illegal aliens were allegedly being held for ransom in the house. The raid landed three people in jail and fourteen illegal immigrants in an immigration detention facility. A human trafficking ring in Houston has been busted-up by local authorities after concerned relatives called them when coyotes refused to release a illegal immigrant family member unless they paid the coyotes extra money. The smugglers have been forcing the men to work and would send the money earned back to a criminal organization in Mexico. 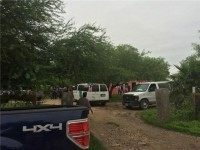 EDINBURG, Texas – Five previously deported illegal aliens and a human smuggler have all been arrested in connection with the kidnapping and stabbing of another illegal alien that was left for dead in a rural border area. Authorities were able to identify the stabbing victim as only a 25-year-old previously deported convicted felon who remains in serious condition at a local hospital. 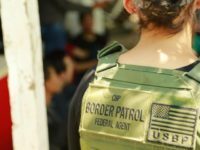 Border Patrol agents raided a stash house near West Mile 7 Road and North Bentsen Palm Drive [Mission, Texas, near Mexican Border] on Tuesday afternoon, when the apprehended 72 immigrants.